SAVE’S TIME WITHOUT COMPROMISING ON DETAIL. 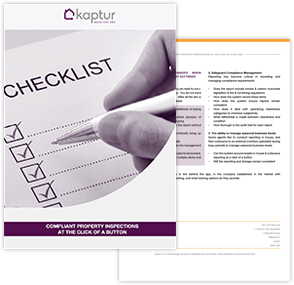 Kaptur is the very latest property information collecting tablet technology developed specifically for busy professionals in the property sector. Designed by property inventory people to provide the most efficient way to collect, prepare, report and manage information.